Welcome to the Brewer’s Blog! 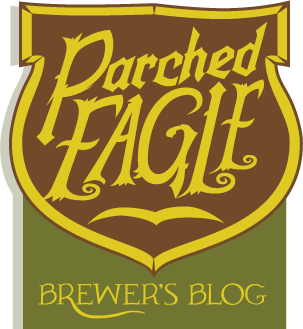 I’m Jim, Head Brewer/President of the Parched Eagle. I’m damn excited about this project in general and (right now) this blog post in particular. Looking for an investment opportunity? Feel free to contact me at jim@parchedeagle.com or 608-204-9192. My tasting notes so far on Stella (which is four months old) is its RICH sweet maltiness will probably most resemble the huge malt bomb that is the Gouden Carolous, with said caramelly malt sweetness taking center stage with some hints of raisins in terms of dark fruit esters represented in the background. We’ll see! With future batches I’ll raise the fermentation temperature to encourage the development of said dark fruit esters. 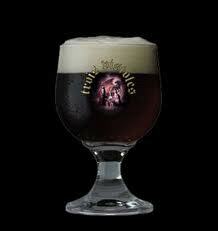 Speaking of which, I predict that Unibroue Trois Pistoles will be up there with any of ’em in terms of the esters profile (and profile in general) you look for in this wickedly delicious style! I “heart” that beer, including its reasonable price at local liquor stores. Anybody had Kasteelbier Bière du Chateau Donker? The Binny might have had that one (I saw some of their beers), but I didn’t notice that it’s on the BJCP list of commercial examples until after we went there. Alas! ?